Avanthi Devi is a childrens home in north-central Sri Lanka that offers a shelter to girls who can’t live at home for instance due to domestic violence or sexual abuse. We take care of around 40 girls, who all suffer from mental unbalance, trauma’s or attachment disorder. The Sri Lankan society provides insufficient means to be able to take care of this situation properly and without external support these children will not be able to grow up in an environment that is suitable for vulnerable children. 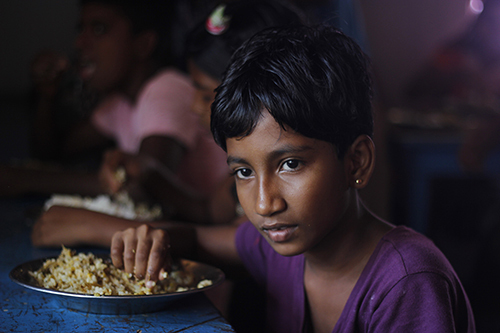 Together with our Sri Lankan partner organisation IRSD since 2008 we work on creating a hopeful future for these girls. We perform all our activities with a 0 % overhead policy. All our foreign volunteers take care of their own travel expenses and don’t get any compensation for their work in our project. So we can assure that 100 % of the donations provided to us will directly be spend to improve the lives of our children.